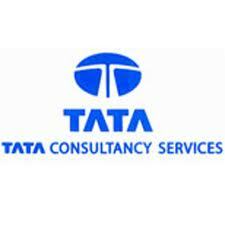 Tata Consultancy Services (TCS) said it has partnered with the UK government to set up a scholarship on cyberpolicy for Indian professionals working in diverse fields. The 'Chevening-TCS Scholarship', launched in collaboration with UK's Foreign & Commonwealth Office (FCO), will be the world's first cybersecurity and public policy education programme, TCS said in a statement here. The programme builds on considerable interaction at various levels between India and the UK on cybersecurity. "By drawing on TCS's technical expertise and FCO's policy knowledge, we have been able to create a scholarship programme that will help future leaders prepare for the increasingly complex world of cybersecurity and policy," TCS country head (UK & Ireland) Shankar Narayanan said. The programme intends to develop expertise and skills in the areas of cybersecurity, information assurance and online governance challenges, India's largest software services firm said. It will be taught by Cranfield University, an organization with expertise in the areas of cybersecurity and global security, at its campus in Shrivenham, UK. The programme is targeted at mid-career professionals. In the first year, six Indian nationals will be selected to undergo a 12-week programme at the British university. The project will run for an initial period of three years with the first course expected to start in February 2014. "This is a pioneering course that not only covers the technical side of cybersecurity, but also brings together the related areas of public policy such as internet governance, national security, crime prevention, online commerce and freedom of expression," Francis Maude, UK minister for cabinet office, was quoted as saying in the statement.